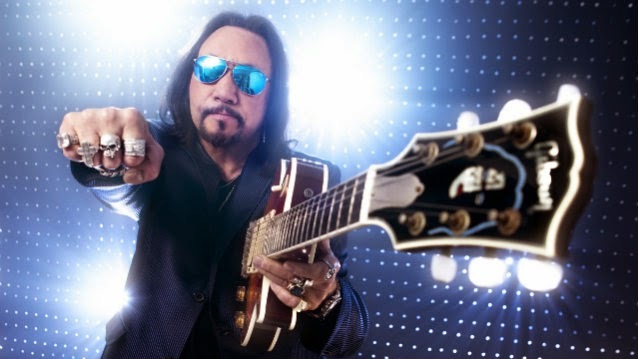 Original KISS guitarist Ace Frehley says former bandmates Paul Stanley and Gene Simmons will regret their decision not to perform with him and original drummer Peter Criss at the band’s induction into the Rock And Roll Hall Of Fame earlier this year. “Me and Peter were up for it,” he continued. “The Rock And Roll Hall Of Fame was insisting that only the four original members perform. Paul and Gene opted not to do it. After forty years, they couldn't give the fans fifteen minutes. Go figure. I think they're gonna regret that decision." Stanley and Simmons have long maintained a fractured relationship with the music industry insiders who run both Rolling Stone and the Rock Hall, and have always questioned the validity of both brands. On April 10, Frehley and the original lineup of KISS were inducted into the 2014 Rock & Roll Hall Of Fame at a ceremony in New York, alongside Nirvana, Peter Gabriel, Hall and Oates, Cat Stevens, Linda Ronstadt, and The E Street Band. Frehley released his first new album in five years, “Space Invader”, in August; the project scored him a US Top 10 debut, entering the Billboard 200 at No. 9 with opening-week sales of 19,000. The guitarist launched a fall tour last month, marking his first US shows in four years.